If you want God’s best, you must make your relationship with God your highest priority. Yes, you have a strong desire for a soul mate. 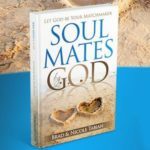 But that soul mate must not become more important to you than God. That would be idolatry. God wants your relationship with Him to be solid and stable so your soul mate relationship will not become the highest priority in your life and take the place rightfully belonging only to God. A growing love relationship with God is paramount to everything else that happens in the Christian life. That’s why we were created, that’s why Jesus died on the cross for our sins and that’s why God is preparing an eternal home for us in heaven. When Jesus was asked which is the most important commandment of all, He replied, “you must love the LORD your God with all your heart, all your soul, all your mind, and all your strength” (Mark 12:30, NLTSE). Are you closer to God today than you were a month ago? A year ago? Five years ago? 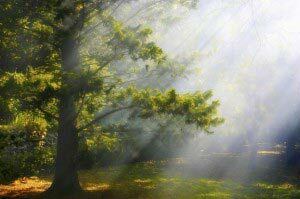 Do you want a closer relationship with God and yet somehow things don’t seem to change? What’s the problem? There are seven important, ongoing habits for building our relationship with God. All seven involve acknowledging God’s presence, communicating with Him through prayer, and thanking Him for His gracious involvement in our lives.